Alberto Contador (Tinkoff-Saxo) underlined his rising 2014 form by convincingly winning Tirreno-Adriatico in San Benedetto del Tronto, Italy, on Tuesday. The short 9.1-kilometre final individual time trial stage was all but a formality for Contador to retain the blue leader’s jersey, starting the day with a two minute and eight second advantage over second-placed Nairo Quintana (Movistar) and with two stage wins already in the bag. However, Quintana put in a surprising ride to beat Contador’s time in the final test – something that will be of concern to the Colombian climber’s Grand Tour rivals – to close the gap slightly and end up 2-05 down on Contador overall. 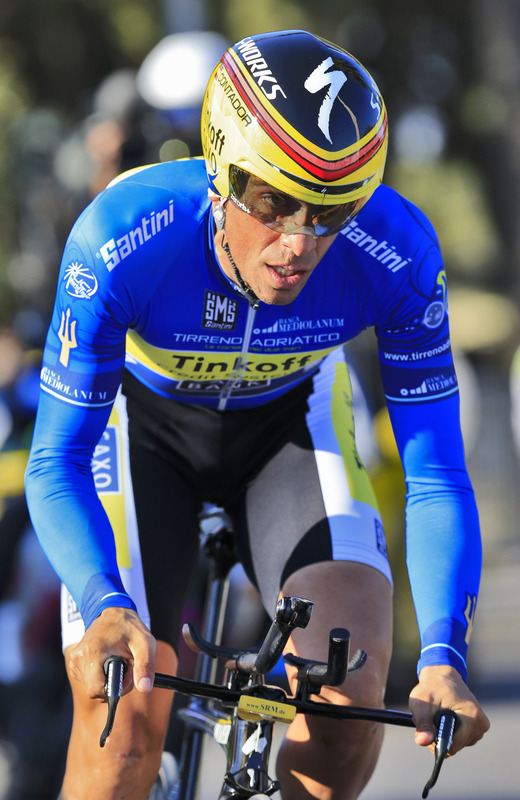 Roman Kreuziger (Tinkoff-Saxo) rounded out the podium in third spot at 2-14. It’s Contador’s first stage race victory since winning the Vuelta a Espana in 2012, and the Spaniard is back to looking like the rider he was before serving his high-profile doping ban for clenbuterol. In winning the final stage, Adriano Malori (Movistar) took perhaps the most significant victory of his career, with a giant-slaying performance to beat established time trial stars Fabian Cancellara (Trek), Bradley Wiggins (Sky) and current world champion Tony Martin (Omega Pharma-QuickStep). Cancellara finished six seconds adrift of Malori, with Wiggins in third at 11 seconds. British TT champion Alex Dowsett placed sixth, at 20 seconds. Wiggins will now turn his attention to challenging for Paris-Roubaix on April 13, and will once again come up against Cancellara. There were several notable non-starters on the final stage, including Ian Stannard (Sky), Cadel Evans (BMC Racing) and Andre Greipel (Lotto-Belisol).